Essentials of Veterinary Ophthalmology, Third Edition offers an updated introduction to the diagnosis and clinical management of ocular conditions in veterinary patients, providing trusted information in a user-friendly format. The content of the book is distilled from the fifth edition of the gold-standard reference Veterinary Ophthalmology, emphasizing the information most relevant to veterinary students and general practitioners. Fully updated throughout, the Third Edition focuses more strongly on small animals and horses, with streamlined coverage of other species, and new chapters have been added on morphology, physiology, and pharmacology. Carefully designed to be equally useful for learning and in practice, the book offers a streamlined, practical approach, with bolded terms to enhance comprehension. High-quality color photographs provide visual depictions of the conditions discussed. 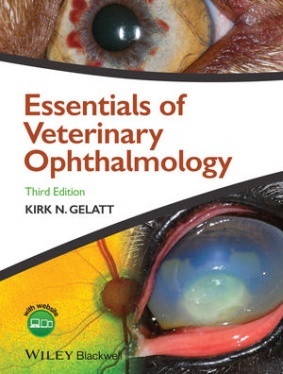 Essentials of Veterinary Ophthalmology, Third Edition is an indispensable resource for veterinary students or clinicians wishing to hone their ophthalmology knowledge and skills.